Palm Harbor Trust Attorney & Lawyer providing professional Trusts, Trust Litigation, and other Estate Law legal services in Palm Harbor, Clearwater, New Port Richey, and the surrounding Southwest Florida communities. Individuals may choose to set up a trust for a variety of reasons. One of the benefits of developing a trust is that it will keep part, or all of your estate out of the court system in the probate process. With a trust your estate and assets may be distributed or allocated according to your wishes while you are still alive, which may continue in the event of your death. When you create a trust you transfer all or part of your property, assets, bank accounts, securities, real estate to an individual or individuals, typically family members, which are called the beneficiary. Once the trust is set up, the identified property and assets no longer belong to you, although in most situations, you may still have access to them. A trust may be designed for the beneficiary to receive the assets in a lump sum at a specified date or in the event of your passing, or to be distributed over a pre-determined period of time. 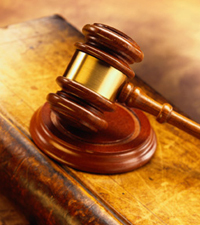 As a law firm providing experienced Trusts and Trust Litigation Attorney & Lawyer legal services, assisting Palm Harbor, Clearwater, New Port Richey and Southwest Florida area residents with trusts and trust litigation legal issues, we are committed to protecting the legal rights of each and every client, while always striving to provide the highest standard of legal representation. If you need quality legal advice and representation in trusts and trust litigation matters, make sure your legal rights are protected by seeking the legal advice of an experienced Palm Harbor trusts and trust litigation attorney & lawyer. 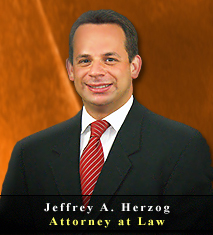 Contact the Law Offices of Jeffrey A. Herzog, P.A., today by calling by calling Toll Free: (866)-789-4002 or Locally at (727) 789-4000 to schedule a confidential legal consultation. Trust Litigation Disputes: Even with the most thorough planning and the strongest foundation for trust provisions, a trust may still end up being legally disputed by family members, or fraudulently misused by the trustee. Undue influence: When a person successfully persuades a person to make decisions regarding the development of a trust, which either directly benefits the person who provides the undue influence, or adversely affects others as a result of the undue influence. Lack of mental capacity: when an individual who has set up a trust has their mental capacity disputed relating to the trust and estate decisions outlined the trust. Trustee Malfeasance: When an appointed trustee fails to adequately adhere to their prescribed duties, according the the law. The trustee may be personally held liable for trustee malfeasance, and in some cases, may even be held criminally liable. Trust fund distribution disputes: typically exist between family members in which one or more family member is either left out of a trust, or they believe they did not receive a fair share of trust assets. Trust Entitlement Petitions: When an individual or individuals believe they have a solid foundation to dispute the validity of a trust, which the believe they have a legal right to be included. Property Recovery: Estate, trust or probate legal actions are sometimes necessary to recover property on behalf of a trust taken in violation of the terms of the trust. Typically, legal action is taken in this manner due to trustee malfeasance. Breach of Trust Duties: When an appointed trustee fails to adequately adhere to their prescribed duties, according the the law, or does not act in the best interest of the beneficiary. The trustee may be personally held liable for trustee malfeasance, and in some cases, may even be held criminally liable. Trusts fall into two basic categories: testamentary trusts and inter vivos trusts. There are two kinds of inter vivos trusts: revocable and irrevocable. Revocable Trust: often referred to as "living" trusts, the donor maintains complete control over the trust and may amend, revoke or terminate the trust at any time. Irrevocable Trust: cannot be changed or amended by the donor. Any property placed into the trust may only be distributed by the trustee as provided for in the trust document itself. Testamentary Trust: is created by your will, and it does not come into existence until the event of your passing, Such a trust has no power or effect until the will of the donor is probated. Although a testamentary trust will not avoid the need for probate and will become a public document as it is a part of the will. Supplemental Needs Trust: is used to enable the donor to provide for the continuing care of a disabled spouse, child, relative or friend. The beneficiary of a well-drafted supplemental needs trust will have access to the trust assets for purposes other than those provided by public benefits programs. In this way, the beneficiary will not lose eligibility for benefits such as Supplemental Security Income, Medicaid and low-income housing. A supplemental needs trust can be created by the donor during life or be part of a will. Credit Shelter Trust: is a way to take full advantage of the estate tax exemption. The first $2 million in 2007-2008 of an estate are exempt from federal estate taxes, so theoretically a husband and wife would have no estate tax if their estate is less than $4 million, unless one spouse passes on leaving their assets to the other making their income over $4 million. 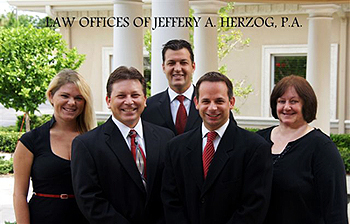 If you need quality legal advice and representation in trusts and trust litigation matters in Palm Harbor, Clearwater, New Port Richey, or the Southwest Florida area, contact an experienced attorney & lawyer at the Law Offices of Jeffrey A. Herzog, P.A., today by calling Toll Free: (866)-789-4002 / Locally: (727) 789-4000, or email with any questions, comments, or concerns, or to schedule a confidential legal consultation.